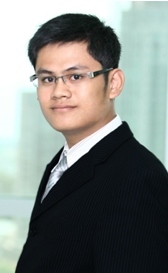 Trinh Minh Duc, a Special Counsel at Rajah & Tann LCT Lawyers, has practiced at the firm since its inception in 2006. Trinh Minh Duc is qualified lawyer in Vietnam with over 10 years of legal practice experience, and he practices in Rajah & Tann LCT Lawyers’ Corporate and M&A and Real Estate and Infrastructure practice groups. He has been strongly regarded for his technical expertise in foreign investment law and his experience equips him with the knowledge to advise on both the black-letter law and the law as it is applied in practice in Vietnam. Duc has been involved in dozens of M&A transactions and real estate and infrastructure projects over his career, including those of key national significance. His representative clients comprise some of the largest companies in Asia keen to expand their projects in Vietnam. In the real estate field, Duc has practices with Que to spearhead multiple real estate developments. He is able to work closely with the relevant government bodies of all major provinces to successfully close projects, and has developed keen understanding of the practices adopted by each major provinces and municipalities.